We have had a lot of people ask about the gear we are taking on our trip so I decided to share it on the blog. Luckily, I have a super duper organized husband that created an insanely detailed spreadsheet with everything that will go in our packs. In addition to everything below, we will be caring food, water, fuel, hygiene items (not much) and personal items such as a book, camera and journal. We just did our 2nd and final shakedown. 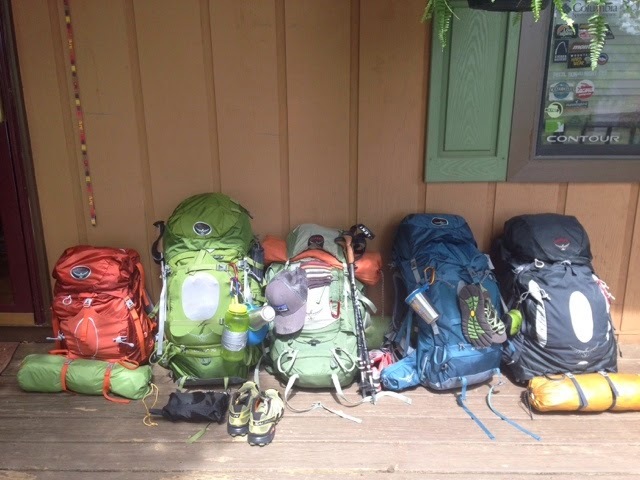 Stacey’s pack is at 45 pounds and mine is at 32 lbs without fuel and water. YIKES! We fly out tomorrow morning before sunrise. Can’t wait to lug this pack up to Katahdin! Sock Smartwool Long Wool Sock? You’ve arrived at the official blog of Opal and Wonder. Created to inspire infectious kindness. Home to wandering feet, curious minds and soul-searching hearts. Visit Opal + Wonder | Amber McDermid's profile on Pinterest.